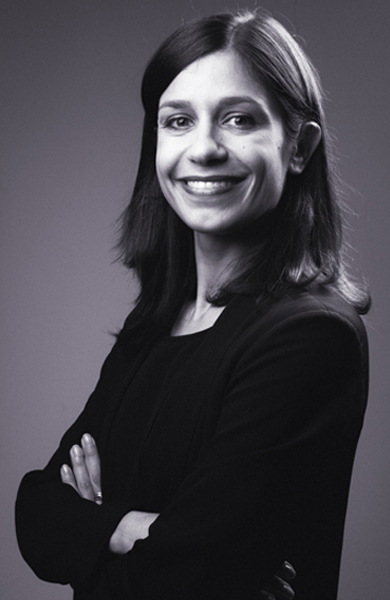 Sarah Barutti is an Italian Avvocato, who has been dealing with labour law and European social law since 2009. In addition to supporting companies in labour disputes, she assists them in the management of all aspects concerning employee relations, providing ongoing consultancy and training activities. Before joining CastaldiPartners, Sarah Barutti worked in law firms specializing in labour law, assisting large groups and SMEs. Drawing on her international professional specialization with traineeships in Bordeaux, Seville and Brussels, she advises on issues related to the international mobility of workers and secondment. She collaborates with CastaldiPartners’ Corporate & Commercial and M&A work groups as regards the labour aspects of transactions. Her working languages are Italian, French, English and Spanish. Assisting a French logistics group with the employment aspects of the acquisition of two Italian companies. Assisting an Italian medical device manufacturing group in dismissing the country manager of its French subsidiary. Defending an Italian fashion company in a labour dispute. Assisting a French energy group in the secondment of personnel to African countries. Assisting an Italian medical device manufacturing group in managing the non-competition agreements for the employees of its French subsidiary. Assisting an Italian metalworking and mechanical engineering company in recruiting French nationality employees under a smart working scheme. Assisting a Greek group in insourcing the Food & Beverage service of its Italian subsidiary. Assisting a French industrial group in making a manager of its Italian subsidiary redundant. Speaker at several seminars and conferences on dismissal, employment relationship management and international worker mobility organized by Universities, professional associations and training companies. Participation in research projects and groups, including with foreign universities and research bodies, on the cross-border posting of workers, social rights and freedom to provide services. Author of several publications on labour law and European social law. Sarah collaborates with the Chair of Labour Law and European Labour Law of the Università di Ferrara and she is contract lecturer at the course on Legal Clinics. Università di Ferrara, 2011-2013, postdoctoral researcher in Labour Law. Università di Ferrara, Universidad del País Vasco and Université catholique de Louvain, 2011, PhD in EU law and comparative labour law and Doctor Europaeus.